VOZ is a free, secure, multi-platform participatory mapping app that allows campaigners, activists and social movements to quickly and easily post live reports of human rights and environmental abuses occurring in their local area. 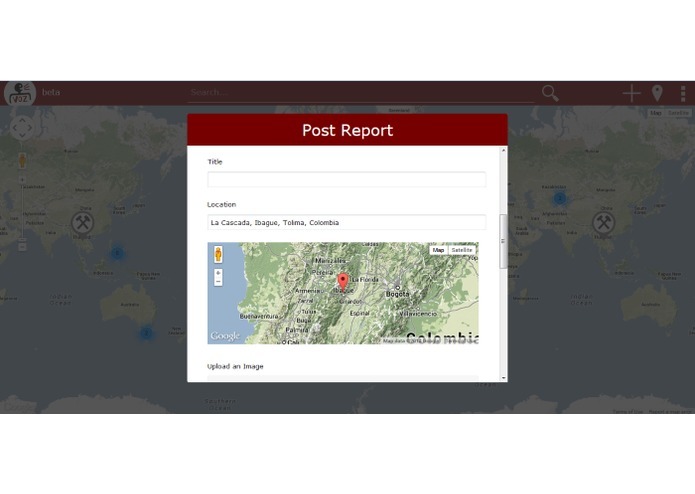 VOZ creates a database of geographically located reports, helping to share experience and knowledge, creating global connections between movements and providing up to the minute, locally produced information for national and international NGOs. Knowledge is at the heart of our work at VOZ. The study “Voices of the Poor” concluded that many people desire access to knowledge rather than charity to enable them to move out of poverty, and it is this that forms the key philosophy around which we work. VOZ aims not to just extract information, but to support the voices of those who are normally excluded, disenfranchised, or oppressed. It is designed to provide a safe, secure and professional way in which Social Movement Organisations and activists can build and share their knowledge online, helping it to be recognized both locally and globally, and addressing power inequalities around knowledge. We believe that local communities are best placed to provide information on human rights and environmental issues but are not always best placed to have access to GIS tools, or outlets for reporting on these issues. This may be due to lack of finances, education or infrastructure, or because of the threats of violent retribution. At VOZ, we aim to mitigate these issues by ensuring our mapping service is always free, easy to use and secure, and by working with NGOs to expand infrastructure to allow communities better access to VOZ. VOZ is always evolving, and we aim to keep an open dialogue with our users and supporters in order to ensure that we are always providing the tools needed by the communities who use them. Firstly, there are many people and organisations working to solve the same problems all over the planet. But being geographically separated can make the sharing of resources and ideas difficult. Secondly, even organisations and people who are geographically close to each other are not always aware of all the issues occurring in their neighbourhood or region, as news are often controlled or manipulated by the state. And finally, news from the developing world rarely makes it into international news media, and when it does this is often via the ‘voice’ of an international NGO who speaks on behalf of the people. This we believe further disenfranchises the poor and continues to perpetuate historic power models. Thus, many of the human rights and environmental issues are suppressed and not reported broadly. All reports are posted by people who are right there at the scene using their PC or smartphone, providing first hand local information. Dispersed populations are brought together to work on similar problems, such as a multinational mining companies polluting water supplies in many different countries. People can quickly report on and review local issues, enabling greater community response to problems. Information is also available internationally, meaning that international aid agencies and news agencies can more easily tap into stories on the ground, but also that their work is more transparent. Users are provided with a level of anonymity and data security not possible with Facebook or even Twitter. Allowing people to protect their identity may help to protect campaigners. There are no costs. Always free to read, always free to publish VOZ reduces the cost for reporting on human rights and environmental abuses. There is no deployment time. VOZ is always online, always accessible. 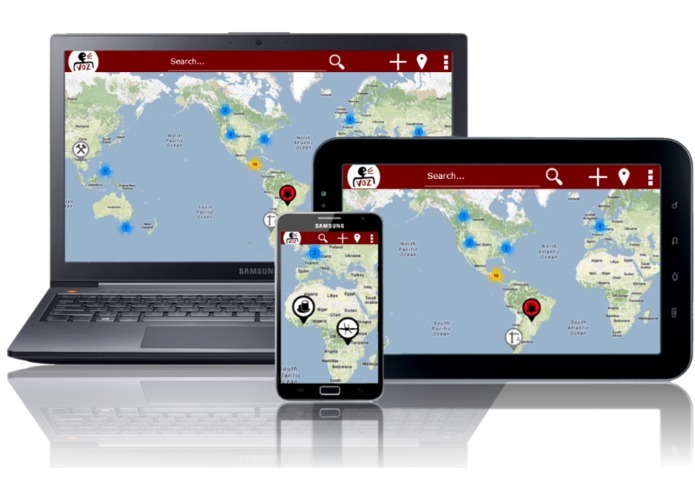 If a disaster hits, reports can be placed instantly on the map without any additional set up. Standard social media such as Facebook do not offer the levels of security required to publish sensitive information. Nor do they always reach the desired audience. Maps and cartography play a very important role in supporting the work of NGOs and grassroots movements. Many grassroots movements are struggling to have their voices heard at a national or international level. Sharing knowledge and experience between NGOs and movements (as well as publically) is seen as a high priority. 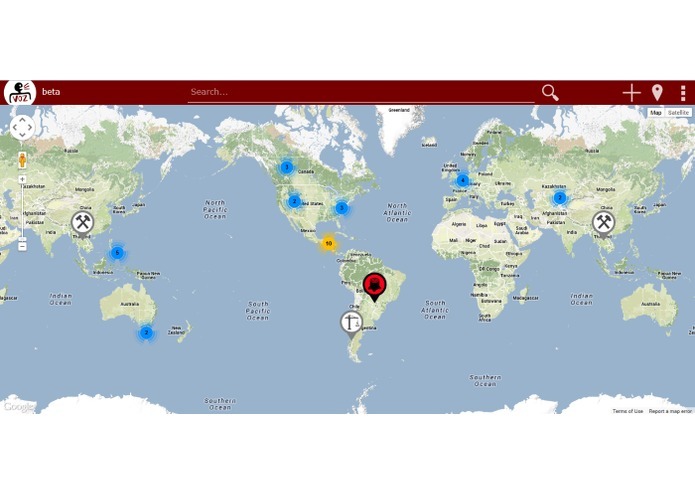 It is hoped that this research has enabled us to develop VOZ so as to address these issues, providing a secure platform to easily voice human rights and environmental concerns in a geographical format. The World Bank Study “Voices of the Poor” concluded that many people desired access to knowledge rather than charity to enable them to move out of poverty.